Check your SPAM box and Whitelist Us! When you place orders at Ka-Blam or interact with us via our Message Center please be aware that many of our responses to you will be auto-generated — this includes your order invoices! 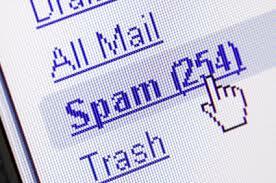 Some email programs — looking at you Gmail — aren’t fond of auto-generated emails and tend to tag them as SPAM. So please check your SPAM box for emails from any “@ka-blam.com” email address. If you find one there please whitelist us — or tag the email as “not SPAM”. Otherwise our attempts to contact you will continue to go right into your SPAM box. And we promise not to SPAM you. We don’t send out company updates or things like that. If you get an email from us it’s regarding either an order or an issue specific to you. Thanks. NextKa-Blam — For All Your Comics Printing Needs!